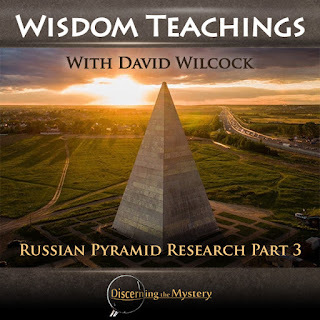 This episode of Wisdom Teachings delved further into the scientific research on the 30-plus pyramid structures scattered across the Russian countryside, and the unprecedented data which these studies yielded. David Wilcock continues his discussion on the discoveries made in the areas of material science, crystallology, geopathology, and discusses some of the amazing effects which this pyramid energy has on water and on human health. The mechanics of pyramid energy may seem complex. However, they can be easily explained in a few terms. (Though for a more thorough explanation, I would recommend reading the previous article.) Basically, the universe is made of fluid energy. This energy is that of gravity, order, and can even be described as consciousness. This energy is flowing into all matter in order for this matter to exist. During Russian research, it was found that the shape of an object determined the way in which this fluid energy of gravity flowed into it. The shape of a cone or pyramid causes more energy to flow into the end of the object which is more massive (the base) than the less massive end (the point). This uneven flow causes this energy to flow upward from base to point. In this way, pyramids concentrate the natural flow of fluid gravity flowing upward from the Earth. As we have been discussing, this pyramid energy has some unprecedented effects on many different substances when placed inside for a period of time. The site, GizaPyramid.com offers the flowing details of the Russian, scientific research on these effects. 4. Prof. V. I. Kostikov and Dr. A. C. Katasonov from the R&D Institute "Graphite," Russian Ac. Sci., studied the effect of a field of a pyramid on the resistance of carbon materials. The subject of their study was pyrolytic carbon receivable by precipitation of products of a pyrolysis of methane on a graphitic substrate with temperature 2100 C. The measuring was conducted by the four-sounded method on direct current at normal conditions. The size of laminas was 25 mm x10 mm x 1mm, spacing interval between potential contacts was 3 mm. The ganging current was by density 1500 mA /cm2. Before putting in the pyramid the resistance came out to 5 to 7 microOhm*m. After a stay in the pyramid of a day, the resistance increased 2 times. These variations are abnormal for pyrocarbon. Even the neutron irradiation with the fluence ~1019 neutrons/m2 did not give a variation of more than 5 %. Besides they detected the decrease of the resistance of silicon of semiconducting purity from 105 to 104 Ohms*cm and loss of the high-temperature superconductivity by samples after the mentioned exposure in the pyramid. 5. A group of researchers from the All-Russian Electrotechnical Institute, Moscow, examined the rate of action of a field of a pyramid on an electrical field in a lengthy aerial gap between a rod and plain when the gap was affected by an electric pulse of positive polarity with duration 250 and 2500 microsec. As a kernel system the aerial gap ROD-PLAIN with interelectrode spacing interval 5 m was utilized. The system under test was the same; however it included seven chunks of granite put on the plain. The weight of each chunk was 100 g and they formed a circle with diameter 1 m on the plain; the center of the circle distanced 0.5 m from the center of the plain. Before the experiment, the chunks were placed in the pyramid. 100 voltage pulses influenced the control system and the test one. The discharge voltage ranged up to 1400 kV. The pathways of discharges and the dots of defeat of the plain were logged. The results of trials, dots of defeat were plotted. It was authentically recorded that the amount of defeats in the kernel system exceeded five times their amount in the test system. The deduction: An outline of rocks that have stayed in the pyramid had powerful defensive properties from a defeat by electric discharge for the part of the plain, restricted this outline. 6. Researchers from the Scientifically Manufacturing Union "Gidrometpribor" (Russia), the director A. 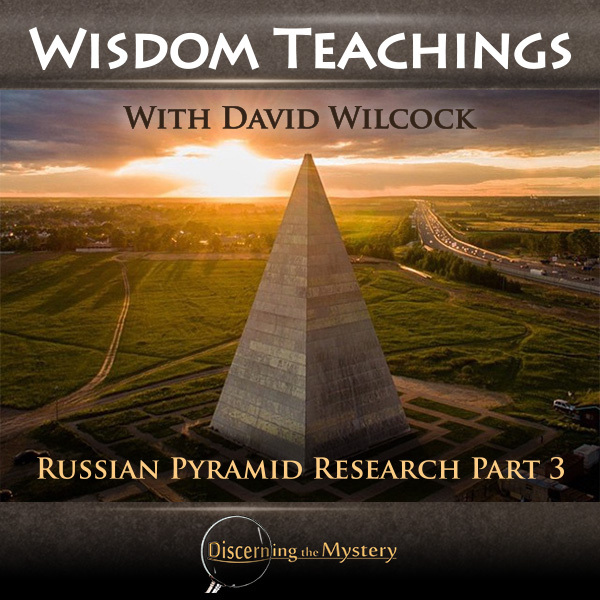 A. Golod, conducted a series of experiments associated with the pyramids. a) Inside the pyramid were placed some plastic vessels with distilled water and the state of water was observed within three winter months. The water did not congeal, and saved all condition of fluids during all this time. The minimum temperature of air inside the pyramid was -38 C. The ganging of temperature of water inside a vessel showed that it corresponded to the temperature inside the pyramid (i.e. water did not congeal even when its temperature reached -38 C). Customary mineral water in plastic bottles behaved similarly also. When the vessel with water was shaken up or hit on it, crystallization inside the vessel started and the water quickly turned to ice. b) Ring-type outlines from chunks of granite and crystal, which were under an exposure in the pyramid, have been circulated around Moscow and the Moscow region since the end of 1997. By the beginning of 1999, it has made about 40 such rings. Each ring contains from 50 up to 300 rocks with total weight from 20 to 200 kg. It is anticipated that the odds of an appearance of any epidemics will drop with each year that is well visible already in an example of the influenza in the last two winters. The younger the age, the more intense is the effect. c) With the help of radiolocation setups working in the meter range and distanced on 30, 32 and 60 km from the pyramid, the Joint-stock company "R & D Institute TTR" (see below) conducted detections of space in the neighborhood of a vertical fulcrum of the pyramid. During the study the availability presumptively of a ionic formation by altitude up to 2000 m and width 500 m was revealed. This presumptively ionic pile permanently changed the altitude from 800 m up to 2000 m. With a sufficient confidence figure the circle of a diameter more than 300 km with heightened degree of ionization of air and with the center in a zone of the pyramid was detected. The facts of the break off of pieces of an ionized pile over the pyramid and its migration with an upward flow of the air also were noted. The pieces saved the configuration on large spacing intervals from the pyramid. This is quite a bit of information, but lets try to break it down in a comprehensive way. One particular tests resulted in high temperature superconductors loosing their superconductivity when placed inside the pyramid for a time. According to Wilcock, this is likely because pyramid energy affects matter in such a way that causes atoms to rearrange (such as in the case of a magnet brushing across a non-magnetic, steel nail). This rearrangement results in greater molecular integrity, which would mean stronger materials, as well as some materials being more resistant to electrical current, while others (such as silicon) become more conductive. Another test the scientists performed was to expose silicon to the pyramid energy. Silicon is a natural, semiconductive material. Their particular sample resisted electrical current at 105 Ohms*cm, but after exposure to pyramids, the conductivity notably increase to 104 Ohms*cm. After observing the apparent strengthening of the graphite, the scientists wanted to see if they could undo this strengthening effect. To accomplish this, they bombarded the graphite with a lethal dose of neutron radiation and observed the results. They were amazed to see that the pyramid effect caused the graphite to resist the neutron radiation and to maintain its integrity. This resistance to radiation suggests the ability of pyramid energy to strengthen materials against radioactive decay. According to Wilcock, this resistance to radiation may also apply to living organisms, though it may be difficult to test such possibilities in an ethical way. One interesting result of these tests on pyramid energy was that it seemed to prevent air from ionizing under conditions in which it normally would. To put it simply, the Russian scientists scatter small granite pebbles (a rock which was found to absorb and emit pyramid energy) over a metal plate. They then subjected this plate to high energy, electrical charge, which under normal conditions, would have caused the electricity to arc. However, with these granite pebbles distributed over the plate, electricity was 5 times less likely to arc than it was without these granite pebbles. These results suggest that pyramid energy actually has the ability to decrease the likelihood of lightning strikes. Somehow, pyramid energy produces a more even distribution of electrical charge over an otherwise, conductive surface. During a lightning storm, lightning typically strikes where their exists a high-point of electric potential, such as a tree or a radio tower. However, with a pyramid present, it may be that this even distribution of charge prevents the high point from affecting the situation, and lightning would be much less likely to strike. One of the most interesting results of these experiments, in my opinion, was the effects which pyramid energy seemed to have on water. This was that this energy allowed the water to be super-cooled so that even when exposed to extreme freezing temperatures, it remained in liquid state. The water would only freeze after being subjected to significant impact. As David Wilcock describes, these scientists conducted this experiment during a frigid, Siberian winter with temperatures reaching -38 degrees Celsius. They placed the control group of water bottles outside the pyramid, and of course, the experimental group was placed inside. After repeated tests, it was found that the bottle placed inside the pyramid did not freeze. This water remained in liquid state until it was impacted, while the water outside the pyramid froze as normal. Watch the video below for a demonstration on this phenomenon. David Wilcock made the point that skeptics would try to say that 'this is just what water does'. It is true that under certain conditions, water of a certain level of purity may remain unfrozen at sub-zero temperatures. However, it should be remembered that these are professional scientists conducting these experiments. They are working for themselves at this point, according to their own personal choice, and have no reason to 'throw' any experiment (unlike certain scientific establishments in the West). These scientists know how to conduct accurate experiments, and would not likely miss the obvious detail of a control group. The water bottles in the control group did freeze, as expected, while those inside the pyramid staid in liquid state, even at -38 degrees C. This equates to the likelihood that pyramid energy was the cause of this unusual behavior of bottled water. As Wilcock describes, it is likely that the torsion fields within the pyramid prevented the water molecules from transforming from a 5-sided formation to a 6-sided formation, which is normally what happens when water changes to ice. The subject of pyramid water is a particular interest of mine. Ever since I built two pyramids and began to test the phenomenon on my own, I am an avid believer that there is something to this technology. Both my friends and family members believe the same after drinking what should be nothing more than ordinary water. However this water seems to get rid of pain, as well as kill germs of various kinds. Since my last update from last week, I have also noticed my ability to sense energy a lot more easily, an ability to meditate and concentrate with greater ease, and various other improvements of health (though not all of these can necessarily be measured). On the subject of pyramid water, here is an excerpt from the site, PyramidofLife.com, with different details of the effects of pyramids. Water, as any other natural formation, has a certain crystalline structure, which largely defines its properties and qualities. Pyramid water is water, which changes its structure under the influence of pyramid energy. Water is the only natural substance, which can be found in nature in all three states – solid, liquid and gaseous. Among all the substances on Earth, water, thanks to its unique physical and chemical properties, plays an exceptionally significant role in human life. Covering ¾th of the planet, water is the cradle of life on Earth. Pyramidal water is an ideal water for a living organism. Our organism consists mostly of water. At birth we are 95% water; during our lives this share decreases, and by the old age it comes down to 60%. During our lives it is necessary to maintain water levels in our organism at around 70% - 75%. Water level in the organism is the indicator of ageing. Water balance is the indicator of relative health condition of our body. These two important indicators are determined by the structure of water. There are many natural water sources in the world. Having studied the structure of water from these sources and observing thousands of people remarkably long lives in various countries, scientists-gerontologists from USA, Japan, Sweden, Sweden came to a conclusion, that the ideal water structure for a healthy organism is water with the structure of ice. Under the influence of the pyramid energy water acquires that structure, while not freezing even at –40°C. Working on principle of bioresonance on a subtle energy level (similar to homeopathy), when taken either internally or externally, pyramid water harmonizes (regulates) all the processes in our organism. And the effect begins exactly in the location where it is needed the most. Such water is extremely rich with oxygen and negatively charged ions, which makes it easy to assimilate. This in turn increases water concentration levels in cells and the overall water level in the organism. Many of the experiments completed on these pyramids are complex and difficult to replicate without a professional, scientific research facility. However, pyramid water is an easy way to conduct one's own tests in the comfort of their home. It is safe, it's very low-cost, and if done correctly, it can be an excellent way to wake up friends and family to the world of alternative science (not to mention get rid of numerous health issues). I would recommend everyone build their own 72-degree, metal-free pyramid, and test these findings for themselves. After all ,what do you have to loose? One particular experiment done by these Russian scientists was very revealing with regard to the affects of pyramids on not only the space inside of the structure, but on the surrounding landscape as well. During this experiment, granite stone was scattered over the entire floor-space of the pyramid, and left to sit for a time. Afterward, it was found that among this even distribution of granite stones, ring formations in which the granite had actually become lighter in color had formed. These rings were perfectly concentric with the center of the pyramid structure. The results of this experiment may validate the concept of this vortex of energy inside the pyramid. If there is energy within the pyramid, it will constantly be in the form of a spinning, cone-shaped vortex. As this cone contacted the floor of the structure, it would do so in a ring formation. This is most likely why the change in the granite occurred in concentric rings. It was found that this lightening of granite was due to the reactivity of quartz to the pyramid energy. As some may know, quartz crystal comes in various colors because of the different impurities within its molecular structure. It is also a known fact that quartz, like many crystals, is not completely solid as we know solids to be. Its molecular structure bends and flexes at the molecular level. We can see this when we expose it to a low-level, electrical current, as when we do it has a certain frequency of osculation. It is likely the this pyramid energy induced this natural vibration of the quartz, which allowed the elements inside to gradually settle out of the crystals. This is likely what caused the lightening of the granite stones, according to Wilcock (as granite is made of mostly quartz crystal). This effect of pyramid energy on granite rock is pretty amazing in my opinion. This ability of granite to capacitate pyramid energy sheds light on the reason why so much of the Great Pyramids of Giza were so heavily inclusive of granite stones. It appears that the ancient Egyptians knew what they were doing. However, there is one particular effect which we have not yet discussed. During Russian research, it was found that these rings which formed from the influence of pyramid energy did not simply remain within the confines of the pyramid floor. These scientists would find that over time, these rings could be found in concentric circles, in ever-increasing distances from the pyramid in the surrounding area. It was also found, that within these areas of influence, people were becoming more healthy, and more resistant to illnesses which normally affected others within the same population. (During these tests, influenza was one of the major focuses of study.) It was found that the younger the age of the individual, the more they were affected by this energy which helped them resist illness. Overall, this effect would grow in its area of influence over each passing year. This brings us to the topic of geopathology. The concept of geopathic zones has been studied for centuries by numerous civilizations, and is still a topic of major research in modern times. Simply put, a geopathic zone is an area of land which rests where the Earth's natural fields create harmful effects to different organisms, including people. These zones are quite numerous, and are typically arranged in a grid like structure over the surface of the planet. These areas have been proven to be harmful to humans as well as numerous other organisms, though there are many organisms which thrive quite well within these anomalies. Season 17 of Wisdom Teachings. During this series, Wilcock describes the extensive studies completed in numerous countries throughout history. On this subject of these zones, the site NatualNews.com published an extensive article detailing the history of the science of geopathology. The articles is titled, Geopathogenic Zones: Would You Sleep with a Poisonous Snake in Your Bed? have. Probably because these zones are invisible, although air is too. Actually, this phenomenon has been extensively investigated by unbiased investigators for more than a hundred years. Books have been written about geopathogenic zones in many languages. Architects in Germany learn about this at the university to be able to create healthy living spaces. As you can see, these zones are not exactly news to the world. Modern civilization has known about them for quite some time, even though they are never mentioned by the Western mainstream. So what are some details we can learn about these zones? Lets explore. During studies of these zones, scientists discovered that there were two intersecting grid formations which defined them. These two grids are now known as the Hartmann Grid and the Curry Grid, and could be described as the areas where the Earth's magnetic flux lines run and intersect. The Hartmann Grid could be described as having lines that run north to south, connecting the two poles, and having intersecting lines which run from east to west. The Curry Grid is similar, but its grid line run diagonally to those of the Hartmann Grid. These two intersecting grids create quite a formation of areas which can be harmful to human health if proper measures are not taken. It was found that anywhere two or more of these grid lines intersected, if an individual were to spend an extended period of time on the intersection (such as while sleeping at night), they would begin to experience health problems in their body where the intersection took place beneath them. The data gathered on geopathic zones was so conclusive that countries such a Germany took steps to prevent such problems from taking place. Road signs were erected in places near these zones so that traffic accidents could be avoided around them. This was because it was found that one of the effects of these zones is similar to being exposed to high EMF energy (or electromagnetic field/frequency energy). Moving over one of these zones would cause drivers on the road to experience temporary disorientation, and eventually cause accidents. So the German government took steps to place signs near these areas so as to minimize the danger. Who Was Dr Wilhelm Reich? By now, many are most likely wondering why none of us in the West have heard of this data. Like the Russian pyramid research, scientific suppression is the likely cause. So we have these zones which are prone to numerous problems to human civilization, including health, safety, and overall prosperity, but how does this apply to pyramid technology? Think about the ring affect of these pyramids which was discussed earlier. As a pyramid sits in one place for an extended period of time, it begins to heal the people within a certain vicinity of the pyramid. Not only this, but this area expands to be larger and larger over time. Now think about the effect we discussed where the pyramids have a tendency to balance electric currents over a larger area so that lightning is much less likely to strike. If you have a distribution of electromagnetic hot spots scattered all over the surface of the Earth, what do you think will happen when they encounter this pyramid energy? Just like in the Russian, scientific experiments, these hot spots will be smoothed out so that there are no high points, but instead, a more even and electromagnetically balanced distribution of energy exists. It seems very likely that pyramid technology actually helps heal the Earth by balancing out and neutralizing geopathic zones. This may very well be why health over a larger surface area increased around the Russian pyramid sites. This episode covered a wide array of topics, and there is much more to learn on this pyramid technology. Once again, I would encourage everyone who is able, to build their own 72-degree pyramid according to the Russian specifications, and to test the effects of pyramid water for themselves. In order to get this information out, the efforts of each one of us is required to responsibly learn and to share what we know with those around us. It baffles me to think that this science could have revolutionized the food and health industries, the scientific establishment, and the lives of countless people around the world, ten times over. Yet, instead of allowing this scientific research to be shared freely in the Western world, the establishment saw fit to keep it hidden and suppressed so that no one would know the true history and true potential of not only our ancient ancestors, but ourselves as well. Full Disclosure of all such technology is around the corner, I believe, but it takes the effort of each and every one of us in order to manifest it. The powers that be/were have no intention of giving up their positions of advantage, or freely sharing the life-saving knowledge which they keep under lock and key. This knowledge of how to gain and sustain abundant life is the right of everyone on the planet, and it is ready to be distributed. All we need to do is to come together, to speak up, and demand equality. I am grateful for the research that David Wilcock puts forward and the effort of many such people who do everything they can to wake us up (as specially after having their lives threatened as Wilcock has). There is much more to learn, and much to discover. Soon we will be able to watch this material on normal television, but until then, I enjoy these episodes which challenge our minds, and our beliefs.